Get ready for the optimists to say, "I told you so!" Stock market rallies don't end simply because "it's time." There has to be a trigger, and there isn't an obvious one right now. Two new reports -- one by the Royal Bank of Canada and one by Capital Economics -- say the probability of a stock market correction is low. The usual warning signs aren't here. "Stocks have not experienced a 10% correction in 1,350 days, and our work indicates that this trend is likely to persist," the RBC report states. This marathon run up for stock isn't unheard of. The S&P 500 rallied for more than 1,600 days from 2003 to 2007 without a correction and more than 2,500 days from 1990 to 1997 without a correction. Related: A stock market 'leading indicator' is tanking. But why? We're far from a recession: The key is for the U.S. economy to keep growing. Most bull markets end because the economy goes into recession, RBC says. Given the current economy, the risk of a recession is low. RBC has identified six factors that spike right before a downturn -- a "Recessionary Indicator Scorecard." At the moment, none of factors is in warning territory. For example, wages tend to soar shortly before a recession. As most Americans are keenly aware, wages are growing very slowly at the moment. Similarly, housing starts have come back toward the historic average, but they certainly aren't anywhere near overheating. "Typically, the stock market comes under a lot of pressure when we are in a recession. 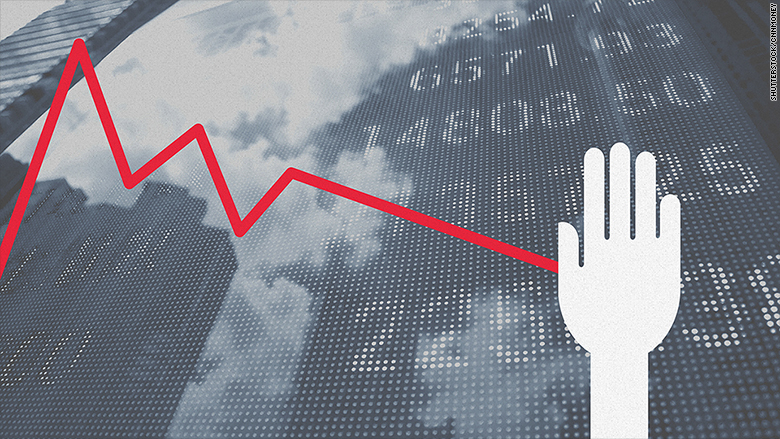 Most of the major downturns have occurred in and around recessions," John Higgins, chief markets economist at Capital Economics, told CNNMoney. The stock market isn't that pricey: Higgins compares markets to rubber bands. There's some tension now, but it's not at a breaking point. "They're like pieces of elastic -- they can stretch a long time before they snap," said Higgins. "It doesn't mean it's heading for an imminent fall." Capital Economics found that stocks, while more expensive than average, aren't that bad. In fact, they are probably cheaper than what noted economist Robert Shiller says. Shiller is one of the main proponents of the price to earnings ("P/E") ratio to gauge stock market frothiness. But Higgins argues that the ratios are distorted right now. The Great Recession was so severe that it caused earnings to collapse and that throws off any historical P/E calculations. On top of that, the world has seen unusually low inflation and very small returns on investments other than stocks, so people have put their money into the market because they haven't had other options. Bond yields are near historic lows. It all adds up to create an illusion that stocks are trading at a more expensive level than what they probably are. The bottom line: Many experts are calling this a "slower-for-longer" recovery. The thinking goes like this: As the economy chugs along, so will the stock market. Yes, the increasing strength of the dollar and the possible interest rate increases from the Federal Reserve will put more pressure on company profits. However, the S&P 500 has handled these blows well in the past. "The market will track a sideways path; edging very slowly higher," said Higgins. He predicts the S&P 500 will end 2016 at 2,200 -- about 5.5% than where it is today.